fullfatrr.com - View topic - Leather tear! Home > Maintenance & Mods (L405) > Leather tear! Blimey - just get one thing sorted and another one pops up! This time it's a tear in the passenger seat back leather. It's just above the seam near the shoulder - it's where this arrow points, but not present on this picture - I will post a photo in daylight tomorrow. 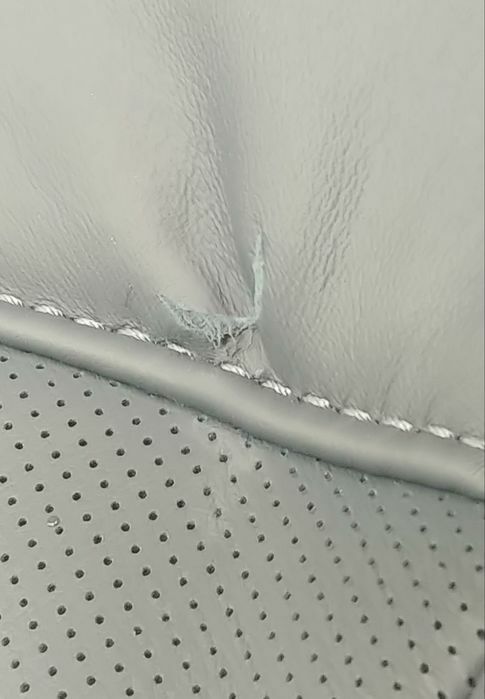 Anyone know a good quality leather repair specialist in the South Yorkshire area? 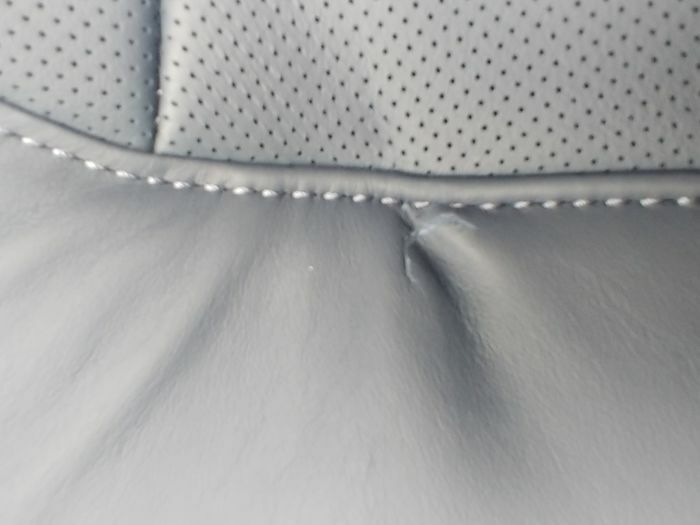 I used to work in the retail furniture trade and saw many a repair carried out on leather and if the guys any good you'll never know it was there. 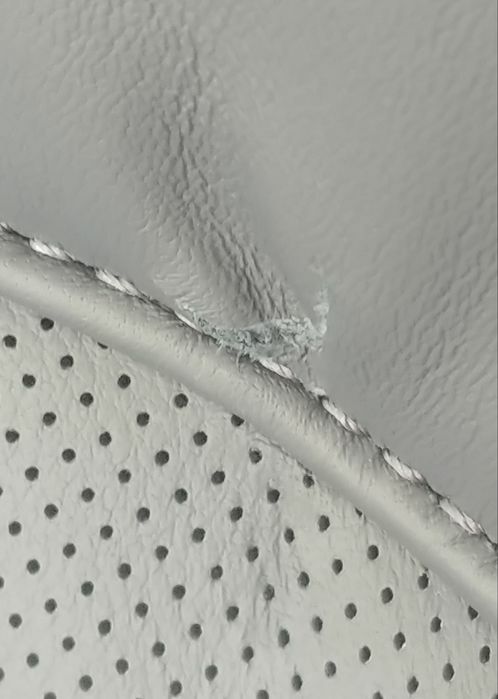 Much easier to repair than a fabric. At least that's what I was told. 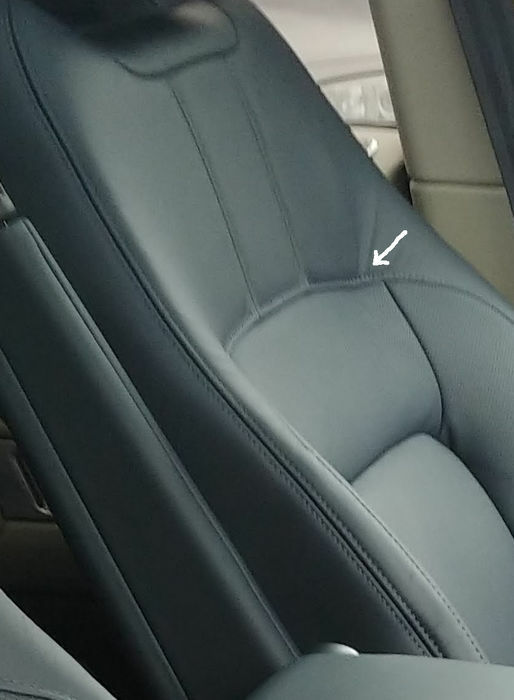 Good people of FFRR - I need a bit of help (in advance of any chat with my dealer) - could you please PM me with a photo of the front seat backs in your 2018-2019 cars? 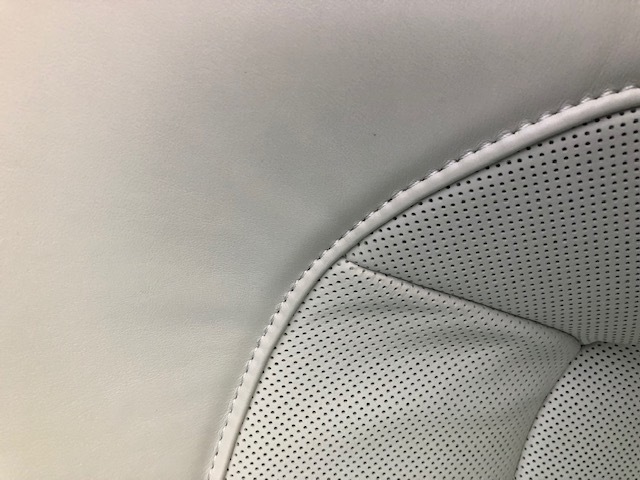 I have been looking in t'internet to see how many seats have the wrinkles and folds in the upper part of the seats around the shoulder seam area, where mine has torn, to see if my seat covers are defective. 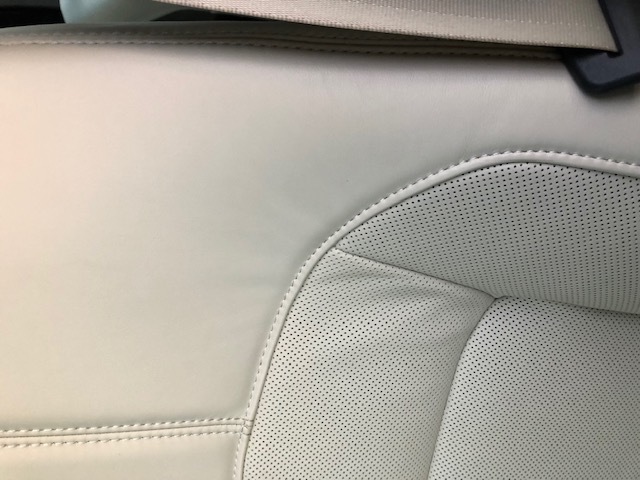 There seems to be quite a variation in standard, and it's got me thinking that my seat covers are not up to the standard I would expect. Here you are Nubbin, any good.....? God only knows why every photo I post on here comes out wrong. Quarter turn clockwise is the right way up! !